Quick Northeastern living side note: I've clocked about a half million miles on Northeastern roads but it wasn't until a few weeks ago that a car of mine actually took damage from a pothole. I was cut off, swerved to the left, and quickly found myself inside a pothole that I had spent the last several days avoiding. I bent the inside of my rim and created a small leak. Fun times! Back to the ice cream which makes a decent visual first impression... mix-in wise if not necessarily filling wise. 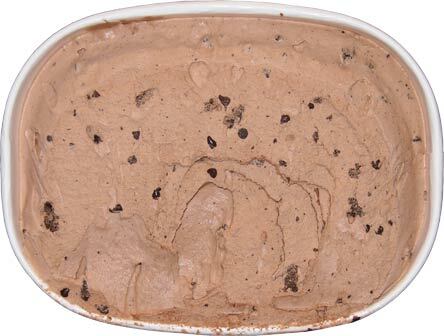 I scrape the lid and the base chocolate has a nice familiar chocolate milkshake flavoring to it. You can see the swirl now and unfortunately it's probably the worst component of this ice cream. It's got a bit of weirdness to it which brings down the overall rating of this one. Also, they used those foolish tiny chocolate chips which drive me nuts. Those things are so pointless. Ugggg. Cookies are ok but not very frequent. So basically this ice cream is about as good (or more specifically meh) as I first expected. Friendly's just doesn't have the magic they once did so long ago. It's not terrible and we will work through it, but this one could have been a lot more fun with a better swirl, bigger chips, and more cookies. On Second Scoop: Hey all. I've been nibbling on this one for the past week and it's not terrible terrible, I just think it is more decorative than effective. 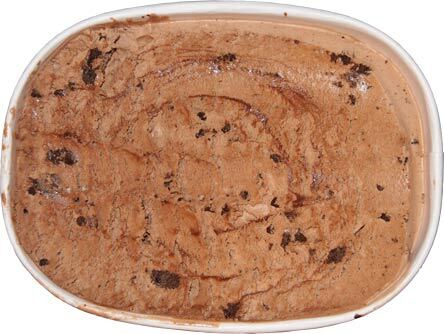 It's got the marketing pizazz but not the mix-ins it needs to be a truly fun ice cream. 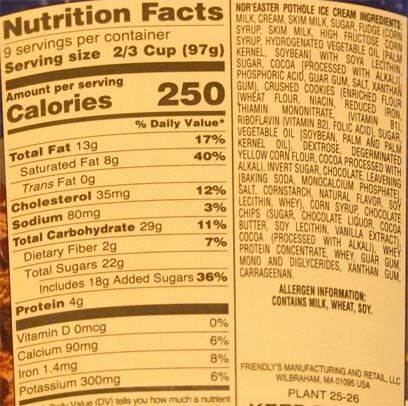 It is nice that the overall chocolate flavoring is a little bit more complex than your average container of ice cream, but that's not enough to make me buy this one again. Oh well. On to the next limited offering. I found this flavor fun, not perfect but a nice change of pace. I seem to have better luck with friendly's than you, less gummy to me. Dubba, since you are from Mass, how do you feel about Brigham's chocolate chip? I ask here because you mentioned your dislike of the little chips...I love them in Brigham's (along with the vanilla base) so was curious if you always dislike them? I generally prefer larger chips (more chocolate!) But I find them fun in the Brigham's...maybe because there are so many and even if a bite has fewer, the vanilla is delicious. 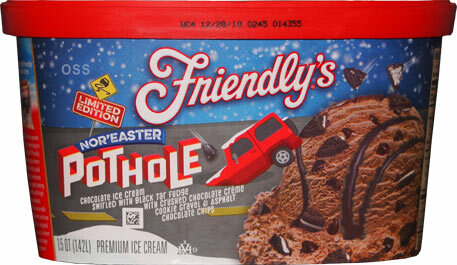 I don't recall friendlys using little chips in other flavors (except maybe the cookie dough bits?) And my recollection is that the regular chips are pretty sparse in their chocolate chip and mint chocolate chip. 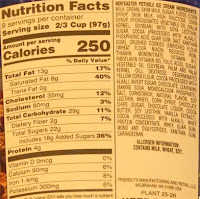 I haven't had Brigham's Chocolate Chip since the 90s, but if it has the tiny chips, yeah, I'm not interested.